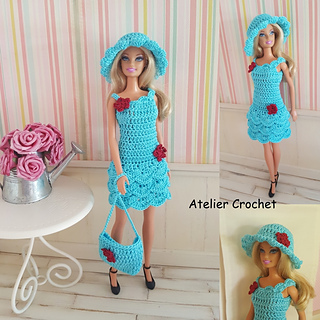 Vous achetez un fichier pdf contenant les explications de l’ensemble : robe, chapeau et sac. 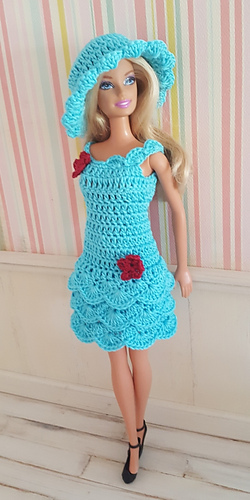 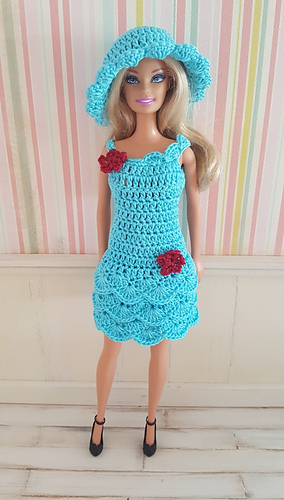 Crochet pattern for 30cm model dolls such as Barbie. 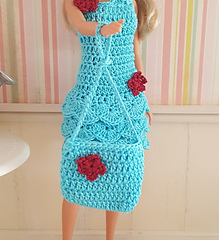 You buy a pdf file with dress, hat and bag pattern. 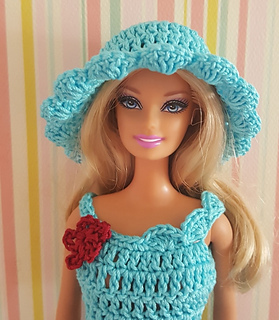 Materials : turquoise and maroon cotton yarn (cabled 5 cotton), 1 small button to fasten the dress and a crochet hook size 1.75.